FOOD FAIR MASTERCLASS - If you’ve ever wondered what you could add to your diet to keep your gut microbes happy, this masterclass will provide you with some inspiration. 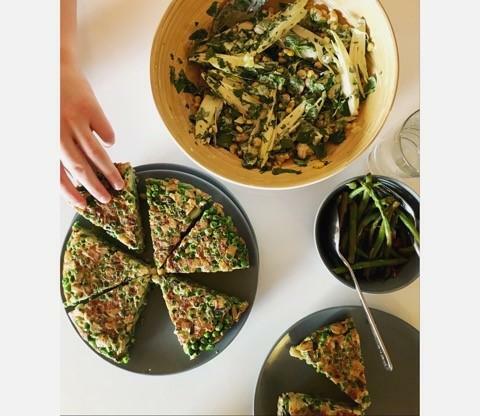 Taught by our resident nutrition guru Naomi Devlin, first you’ll try some bitters to get your gut in the mood for food and then you’ll learn how to make a fermented pea frittata, polyphenol rich salad and anti-inflammatory sprinkles to supercharge your digestion and soothe your immune system. This masterclass will take place on Sunday 26 May in the Cookery School from 10.30am – 11.30am.